Baltimore, MD – Observation Baltimore (https://www.observationbaltimore.com) announced today that Ryan Ross has joined the firm as an Account Executive tasked with expanding local and national client bases. 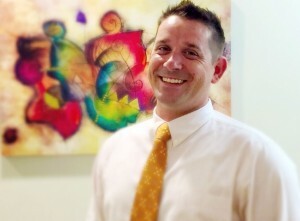 Ryan Ross comes with a wealth of experience in marketing and new business development, most recently having spent the last six years at Guaranteed Returns, where Ryan was instrumental in growing the Mid-Atlantic Territory’s strategic account base of hospitals and government agencies including the Department of Defense. Observation Baltimore is Where The Magic Happens. We take great pride in creating a special environment for research to thrive. As the premiere focus group facility in Maryland, we offer precise recruiting of consumers, physicians, health care professionals, and business professionals. Our experience and pursuit of excellence in market research has led to Observation Baltimore repeatedly being rated “One of the World’s Best” focus group facilities by Impulse Survey, receiving Honor Roll status 10-years running. This entry was posted on Wednesday, June 3rd, 2015 at 5:45 pm. Both comments and pings are currently closed.